Ps 116:1 “I love Yahweh, because he listens to my voice, and my cries for mercy. 2 Because he has turned his ear to me, therefore I will call on/proclaim him as long as I live. 3 The cords of death surrounded me, the pains of Sheol got a hold of me. I found trouble and sorrow. 4 Then I called on the name of Yahweh: "Yahweh, I beg you, deliver my soul." 5 Yahweh is Gracious and righteous. Yes, our God is merciful. 6 Yahweh preserves the simple. I was brought low, and he saved me. 7 Return to your rest, my soul, for Yahweh has dealt bountifully with you. 8 For you have delivered my soul from death, my eyes from tears, and my feet from falling. 9 I will walk before Yahweh in the land of the living. 10 I believed, therefore I said, "I was greatly afflicted." 11 I said in my haste, "All men are liars." 12 What will I give to Yahweh for all his benefits toward me? 13 I will take the cup of salvation, and call on/proclaim the name of Yahweh. 14 I will pay my vows to Yahweh, yes, in the presence of all his people. 15 Precious in the sight of Yahweh is the death of his saints. 16 Yahweh, truly I am your servant. I am your servant, the son of your handmaid. You have freed me from my chains. 17 I will offer to you the sacrifice of thanksgiving, and will call on/proclaim the name of Yahweh. 18 I will pay my vows to Yahweh, yes, in the presence of all his people, 19 in the courts of Yahweh’s house, in the midst of you, Jerusalem. Praise Yah!" Observations: 116:1-9 We love God because He is lovely, and loves us in meeting our needs. When in trouble we call upon God; when He answers, we proclaim His name. The same Hebrew verb (call/proclaim) is used for both actions. Because of God's help, we not only praise Him, but have peace/rest, and promise to walk in His ways, as His servant. 116:10-19 In response to God's help the psalmist will proclaim to others what God has done, increasing His reputation in their eyes, thus glorifying Him. This was one of the Hallel Praise Psalms, sung after the Passover meal. The “cup of salvation” was the third cup of the Passover Seder (see post on Exodus 6:6-7) commemorating the redemption of Israel out of Egypt. It was accompanied by praise and declarations of what God had done more recently in coming to the aid of His people. One praised God publicly at the temple when offering a sacrifice of thanksgiving which one had vowed while in trouble. Thus God is seen in the eyes of all who hear, as the merciful and mighty Redeemer of His people. Application: When in trouble, call out to God for help; when helped, proclaim His praises so He will be glorified and others will trust Him. Prayer: Merciful and mighty God, there is no way I could ever repay You for all You have done for me, but I want others to know how great You are through my praise. Amen. Observations: Fools just don't get it, and give grief to those around them. They might be able to quote proverbs, but like a lame man's legs, it does them no good. Proverbs are designed to prick our conscience and cause discomfort where we're disobedient or unwise, but like a thorn piercing the hand of a drunkard, fools feel none of the intended sting. If you put any confidence in a fool or rely on them to do anything, you'll regret it. Try expecting the best of them, is like tying a stone in a sling, it comes back to whomp you on the side of the head. Questions: Is there any hope for fools? Application: Since it's almost impossible to correct fools, once someone has demonstrated a heart set on folly, give them a wide berth or get hurt. Prayer: Father, help me be sensitive to Your word, and pursue the objectives that are wise. Amen. Zechariah 7-14 Following the “non-chiastic” highlight of the book (6:9-15, the crowning of Joshua as priest and king as a prefiguring of the Messiah's uniting both roles on David's throne) Zechariah gives an elaboration of the key elements of the Messiah's reign, that of blessing a righteous and loyal people (chiastic chapters 7-8). Then Zechariah provides two oracles related to the Messiah's arrival, the first on the colt of a donkey (which was rejected) and the second as the reigning King of the earth upon His return. A. 7:1 It happened in the fourth year of king Darius that the word of Yahweh came to Zechariah in the fourth day of the ninth month, the month of Chislev. 2 The people of Bethel sent Sharezer and Regem Melech, and their men, to entreat Yahweh’s favor, 3 and to speak to the priests of the house of Yahweh of Hosts, and to the prophets, saying, "Should I weep in the fifth month, separating myself, as I have done these so many years?" B. 4 Then the word of Yahweh of Hosts came to me, saying, 5 "Speak to all the people of the land, and to the priests, saying, ‘When you fasted and mourned in the fifth and in the seventh month for these seventy years, did you at all fast to me, really to me? 6 When you eat, and when you drink, don’t you eat for yourselves, and drink for yourselves? 7 These aren't the words which Yahweh proclaimed by the former prophets, when Jerusalem was inhabited and in prosperity, and its cities around her, and the South and the lowland were inhabited, (are they)?’"
D. 11 But they refused to listen, and turned their backs, and stopped their ears, that they might not hear. 12 Yes, they made their hearts as hard as flint, lest they might hear the law, and the words which Yahweh of Hosts had sent by his Spirit by the former prophets. Therefore great wrath came from Yahweh of Hosts. 13 It has come to pass that, as he called, and they refused to listen, so they will call, and I will not listen," said Yahweh of Hosts; 14 "but I will scatter them with a whirlwind among all the nations which they have not known. Thus the land was desolate after them, so that no man passed through nor returned: for they made the pleasant land desolate." Observations: 7:1-7 Two years after the previous visions, the temple was nearing completion, and the people want to know if they should continue to fast to commemorate the fall of Jerusalem and the burning of the temple as they had done in the exile. God said they weren't doing that for His purposes, but like everything else they were doing, it was for themselves. Like many modern “worshipers” the religious things they were doing were geared to making themselves feel good, not making God feel good. If you want God to feel good, listen to His word, and obey it (otherwise you will feel bad when He judges disobedience). God's continued response in verse 7 begins with an interrogative particle, indicating that what follows is a question (like in Spanish). It is better to understand the question as “Are they?” at the end (like an English question mark). This gives the sense in accord with the context, that “God never proclaimed a such a fast, did He?” There is no record in the Scripture of God telling them to do so. But there is a record of the requirements to hear and do God's word, which some translators reflect by (appropriately) inserting a “hear” or “do” in the verse. These items are repeated in the next chapter for emphasis. For the refusal to listen to Him and do these things God had refused to listen to them and scattered them into exile. The people needed to learn from their past mistakes or would suffer the same consequences they did in the past. Application: Reality based obedience to God's word results in God-pleasing worship; ritual based conformity to tradition results in incurring God's wrath. Prayer: God may my actions towards others be in accord with what You have specified in Your word; keep me from being deceived into thinking that ritual trumps realty. Amen. E. 8:1 The word of Yahweh of Hosts came to me. 2 Thus says Yahweh of Hosts: "I am jealous for Zion with great jealousy, and I am jealous for her with great wrath." 3 Thus says Yahweh: "I have returned to Zion, and will dwell in the midst of Jerusalem. Jerusalem shall be called ‘The City of Truth’; and the mountain of Yahweh of Hosts, ‘The Holy Mountain.’" 4 Thus says Yahweh of Hosts: "Old men and old women will again dwell in the streets of Jerusalem, every man with his staff in his hand for very age. 5 The streets of the city will be full of boys and girls playing in its streets." 6 Thus says Yahweh of Hosts: "If it is marvelous in the eyes of the remnant of this people in those days, should it also be marvelous in my eyes?" says Yahweh of Hosts. 7 Thus says Yahweh of Hosts: "Behold, I will save my people from the east country, and from the west country; 8 and I will bring them, and they will dwell in the midst of Jerusalem; and they will be my people, and I will be their God, in truth and in righteousness." 9 Thus says Yahweh of Hosts: "Let your hands be strong, you who hear in these days these words from the mouth of the prophets who were in the day that the foundation of the house of Yahweh of Hosts was laid, even the temple, that it might be built. 10 For before those days there was no wages for man, nor any wages for an animal; neither was there any peace to him who went out or came in, because of the adversary. For I set all men everyone against his neighbor. e' 11 But now I will not be to the remnant of this people as in the former days," says Yahweh of Hosts. 12 "For the seed of peace and the vine will yield its fruit, and the ground will give its increase, and the heavens will give their dew; and I will cause the remnant of this people to inherit all these things. 13 It shall come to pass that, as you were a curse among the nations, house of Judah and house of Israel, so will I save you, and you shall be a blessing. Don’t be afraid. Let your hands be strong." d' 14 For thus says Yahweh of Hosts: "As I thought to do evil to you, when your fathers provoked me to wrath," says Yahweh of Hosts, "and I didn’t repent; 15 so again have I thought in these days to do good to Jerusalem and to the house of Judah. Don’t be afraid. c' 16 These are the things that you shall do: speak every man the truth with his neighbor. Execute the justice of truth/faithfulness and peace in your gates, 17 and let none of you devise evil in your hearts against his neighbor, and love no false oath: for all these are things that I hate," says Yahweh. b' 18 The word of Yahweh of Hosts came to me. 19 Thus says Yahweh of Hosts: "The fasts of the fourth fifth, seventh, and tenth months shall be for the house of Judah joy and gladness, and cheerful feasts. Therefore love truth and peace." a' 20 Thus says Yahweh of Hosts: "Many peoples, and the inhabitants of many cities will yet come; 21 and the inhabitants of one shall go to another, saying, ‘Let us go speedily to entreat the favor of Yahweh, and to seek Yahweh of Hosts. I will go also.’ 22 Yes, many peoples and strong nations will come to seek Yahweh of Hosts in Jerusalem, and to entreat the favor of Yahweh." 23 Thus says Yahweh of Hosts: "In those days, ten men will take hold, out of all the languages of the nations, they will take hold of the skirt of him who is a Jew, saying, ‘We will go with you, for we have heard that God is with you.’"
Observations: 8:1-13 In the first two sections of this chapter, the emphasized center of the chiastic (and the book) declare the restoration of truth/faithfulness to the city, which will result in a following restoration of blessings, which will reverse Judah's history. 8:1-8 E Restoration of the City of Truth & Righteousness: Truth is also translated faithfulness, reflecting the idea of being loyal to the truth. God's works are done in truth/faithfulness and righteousness (Ps 111:7) and so should those of His people. 8:9-13 e’ Restoration of Blessing in the City of the Strong & Righteous: Note the section is bounded by the admonition to be strong, both for the purposes of rebuilding the temple in which God's presence and glory would dwell, and to carry out God's requirements of righteousness. 8:16-17 c' Call for truth & justice, because God hates the opposite, and won't bless bad behavior. 8:18-19 b' Fasting will replaced by feasts and rejoicing for the righteous, giving a more direct answer to the question in chapter 7. Exodus 19:5 Now therefore, if you will indeed obey My voice and keep My covenant, then you shall be a special treasure to Me above all people; for all the earth is Mine. 6 And you shall be to Me a kingdom of priests and a holy nation.' These are the words which you shall speak to the children of Israel." Application: God requires His people to be rightly related to Him and others (particularly fellow believers) according to His truth; failure to do and be so results in ruin; obedience results in blessings and being useful to the Master (2Tim 2:21). Prayer: My Master, Your wish is my command; help me see how to have the kind of relationships with others that You require for blessing me, and use me in the lives of others to bring You glory, for that is why You created me. Amen. 9:1 An oracle. The word of Yahweh is against the land of Hadrach, and will rest upon Damascus; for the eye of man and of all the tribes of Israel is toward Yahweh; 2 and Hamath, also, which borders on it; Tyre and Sidon, because they are very wise. 3 Tyre built herself a stronghold, and heaped up silver like the dust, and fine gold like the mire of the streets. 4 Behold, the Lord will dispossess her, and he will strike her power in the sea; and she will be devoured with fire. 5 Ashkelon will see it, and fear; Gaza also, and will writhe in agony; as will Ekron, for her expectation will be disappointed; and the king will perish from Gaza, and Ashkelon will not be inhabited. 6 Foreigners will dwell in Ashdod, and I will cut off the pride of the Philistines. 7 I will take away his blood out of his mouth, and his abominations from between his teeth; and he also will be a remnant for our God; and he will be as a chieftain in Judah, and Ekron as a Jebusite. 8 I will encamp around my house against the army, that none pass through or return; and no oppressor will pass through them any more: for now I have seen with my eyes. 9 Rejoice greatly, daughter of Zion! Shout, daughter of Jerusalem! Behold, your King comes to you! He is righteous, and having salvation; lowly, and riding on a donkey, even on a colt, the foal of a donkey. 10 I will cut off the chariot from Ephraim, and the horse from Jerusalem; and the battle bow will be cut off; and he will speak peace to the nations: and his dominion will be from sea to sea, and from the River to the ends of the earth. 11 As for you also, because of the blood of your covenant, I have set free your prisoners from the pit in which is no water. 12 Turn to the stronghold, you prisoners of hope! Even today I declare that I will restore double to you. 13 For indeed I bend Judah as a bow for me. I have filled the bow with Ephraim; and I will stir up your sons, Zion, against your sons, Greece, and will make you like the sword of a mighty man. 14 Yahweh will be seen over them; and his arrow will go flash like lightning; and the Lord Yahweh will blow the trumpet, and will go with whirlwinds of the south. 15 Yahweh of Hosts will defend them; and they will destroy and overcome with sling stones; and they will drink, and roar as through wine; and they will be filled like bowls, like the corners of the altar. 16 Yahweh their God will save them in that day as the flock of his people; for they are like the jewels of a crown, lifted on high over his land. 17 For how great is his goodness, and how great is his beauty! Grain will make the young men flourish, and new wine the virgins. Observations: 9:1-8 The first oracle starts with a description of God scattering the nations, which some think was fulfilled by Alexander the great, as God's agent, but God protected Jerusalem. As a result of the judgment some Gentiles would become God's people (9:7). 9:9-17 The righteous Messiah having salvation comes to Jerusalem on a donkey's foal (at His first coming) who will bring peace to the nations (at His return). Compare Isaiah 9:6-7 and 61:1-3 with Luke 4:16-21 for the first and second coming being joined in a verse. Victory over Greece is mentioned, perhaps foreshadowed by the Maccabean revolts around 165 BC. In accord with His covenant promises God would free the captives, restore them, and exalt them. His eye is upon them to protect and bless them. Application: God values His people who value Him, and will honor them as they honor Him. Prayer: Lord, I praise You for being the God who blesses, and thank You for Your sure promise to do so for Your people who are faithful to You. Amen. 10:1 Ask of Yahweh rain in the spring time, Yahweh who makes storm clouds, and he gives rain showers to everyone for the plants in the field. 2 For the teraphim have spoken vanity, and the diviners have seen a lie; and they have told false dreams. They comfort in vain. Therefore they go their way like sheep. They are oppressed, because there is no shepherd. 3 My anger is kindled against the shepherds, and I will punish the male goats; For Yahweh of Hosts has visited his flock, the house of Judah, and will make them as his majestic horse in the battle. 4 From him will come forth the cornerstone, from him the nail, from him the battle bow, from him every ruler together. 5 They shall be as mighty men, treading down muddy streets in the battle; and they shall fight, because Yahweh is with them; and the riders on horses will be confounded. 6 "I will strengthen the house of Judah, and I will save the house of Joseph, and I will bring them back; for I have mercy on them; and they will be as though I had not cast them off: for I am Yahweh their God, and I will hear them. 7 Ephraim will be like a mighty man, and their heart will rejoice as through wine; yes, their children will see it, and rejoice. Their heart will be glad in Yahweh. 8 I will signal for them, and gather them; for I have redeemed them; and they will increase as they have increased. 9 I will sow them among the peoples; and they will remember me in far countries; and they will live with their children, and will return. 10 I will bring them again also out of the land of Egypt, and gather them out of Assyria; and I will bring them into the land of Gilead and Lebanon; and there won’t be room enough for them. 11 He will pass through the sea of affliction, and will strike the waves in the sea, and all the depths of the Nile will dry up; and the pride of Assyria will be brought down, and the scepter of Egypt will depart. 12 I will strengthen them in Yahweh; and they will walk up and down in his name," says Yahweh. Observations:10:1-4 God is the one who gives rain and blessing, in contrast to false idols, and those who serve them. False shepherds will be punished for their failure to guide the sheep in the right way. Four images (cornerstone, nail, bow, and ruler) are mentioned indicating the work of the Messiah in reestablishing the temple, building the city, protecting it, and ruling over it. 10:5-12 The regathered people will be mighty because Yahweh is with them. He will not only save them, but prosper them so they will rejoice. They will be regathered and multiplied, exercising dominion in His name. Application: God strengthens His people to accomplish His will, and gives them dominion. Prayer: Lord, thanks for the protection of Your presence and Your strength to do all that You want me to. Amen. 11:1 Open your doors, Lebanon, that the fire may devour your cedars. 2 Wail, fir tree, for the cedar has fallen, because the stately ones are destroyed. Wail, you oaks of Bashan, for the strong forest has come down. 3 A voice of the wailing of the shepherds! For their glory is destroyed: a voice of the roaring of young lions! For the pride of the Jordan is ruined. 4 Thus says Yahweh my God: "Feed the flock of slaughter. 5 Their buyers slaughter them, and go unpunished. Those who sell them say, ‘Blessed be Yahweh, for I am rich’; and their own shepherds don’t pity them. 6 For I will no more pity the inhabitants of the land," says Yahweh; "but, behold, I will deliver the men everyone into his neighbor’s hand, and into the hand of his king. They will strike the land, and out of their hand I will not deliver them." 7 So I fed the flock of slaughter, especially the oppressed of the flock. I took for myself two staffs. The one I called "Favor," and the other I called "Union," and I fed the flock. 8 I cut off the three shepherds in one month; for my soul was weary of them, and their soul also loathed/detested me. 9 Then I said, "I will not feed you. That which dies, let it die; and that which is to be cut off, let it be cut off; and let those who are left eat each other’s flesh." 10 I took my staff Favor, and cut it apart, that I might break my covenant that I had made with all the peoples. 11 It was broken in that day; and thus the poor of the flock that listened to me knew that it was the word of Yahweh. 12 I said to them, "If you think it best, give me my wages; and if not, keep them." So they weighed for my wages thirty pieces of silver. 13 Yahweh said to me, "Throw it to the potter, the handsome price that I was valued at by them!" I took the thirty pieces of silver, and threw them to the potter, in the house of Yahweh. 14 Then I cut apart my other staff, even Union, that I might break the brotherhood between Judah and Israel. 15 Yahweh said to me, "Take for yourself yet again the equipment of a foolish shepherd. 16 For, behold, I will raise up a shepherd in the land, who will not visit those who are cut off, neither will seek those who are scattered, nor heal that which is broken, nor feed that which is sound; but he will eat the flesh of the fat sheep, and will tear their hoofs in pieces. 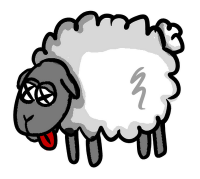 17 Woe to the worthless shepherd who leaves the flock! The sword will be on his arm, and on his right eye. His arm will be completely withered, and his right eye will be totally blinded!" Observations: 11:1-14 In contrast to the previous two chapters, largely devoted to the blessings of Judah in devastating their enemies, this one looks at the devastation that will occur due to the rejection of the Messiah. There are three kinds of shepherds in view in this chapter. The wailing ones are probably the inept, unrighteous leaders of Israel (11:1-5) who rejected the Good shepherd (11:6-14). The final one is the false shepherd or anti-Christ (11:15-17). In addition, there are three shepherds mentioned in verse 8, which haven't been identified in history, and might represent the various classes of leaders mentioned in Luke 9:22 (elders, chief priests and scribes) according to some. In the end of verse 8 the people loathe/detest the good shepherd who had favored united them, leading to the breaking of favor and the covenant in verse 10 and the and union in verse 14. Many think this refers to the scattering of the Jews in AD 70 when the temple was destroyed. It's surprising that the rejection of the Messiah is so understated in verse 8, although the betrayal for the 30 pieces of silver (the price of a gored slave - Ex 21:32) gives some elaboration (cf Mt 26:15). 11:15-17 The rejection of the Messiah led to the future giving of the nation into the hand of an evil shepherd, considered by many to be the anti-Christ. Application: Rejection of God leads to losing His shepherding care of us; He doesn't favor those who reject Him, but leaves them to their chosen consequences. Prayer: God, may I value Your gracious shepherding care of me, and experience it all my days. Amen. 12:1 An oracle. The word of Yahweh concerning Israel. Yahweh, who stretches out the heavens, and lays the foundation of the earth, and forms the spirit of man within him says: 2 "Behold, I will make Jerusalem a cup of reeling to all the surrounding peoples, and on Judah also will it be in the siege against Jerusalem. 3 It will happen in that day, that I will make Jerusalem a burdensome stone for all the peoples. All who burden themselves with it will be severely wounded, and all the nations of the earth will be gathered together against it. 4 In that day," says Yahweh, "I will strike every horse with terror, and his rider with madness; and I will open my eyes on the house of Judah, and will strike every horse of the peoples with blindness. 5 The chieftains of Judah will say in their heart, ‘The inhabitants of Jerusalem are my strength in Yahweh of Hosts their God.’ 6 In that day I will make the chieftains of Judah like a pan of fire among wood, and like a flaming torch among sheaves; and they will devour all the surrounding peoples, on the right hand and on the left; and Jerusalem will yet again dwell in their own place, even in Jerusalem. 7 Yahweh also will save the tents of Judah first, that the glory of the house of David and the glory of the inhabitants of Jerusalem not be magnified above Judah. 8 In that day Yahweh will defend the inhabitants of Jerusalem. He who is feeble among them at that day will be like David, and the house of David will be like God, like the angel of Yahweh before them. 9 It will happen in that day, that I will seek to destroy all the nations that come against Jerusalem. 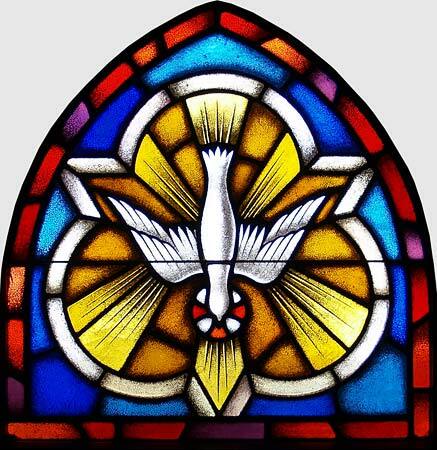 10 I will pour on the house of David, and on the inhabitants of Jerusalem, the spirit of grace and of supplication; and they will look to me whom they have pierced; and they shall mourn for him, as one mourns for his only son, and will grieve bitterly for him, as one grieves for his firstborn. 11 In that day there will be a great mourning in Jerusalem, like the mourning of Hadadrimmon in the valley of Megiddon. 12 The land will mourn, every family apart; the family of the house of David apart, and their wives apart; the family of the house of Nathan apart, and their wives apart; 13 the family of the house of Levi apart, and their wives apart; the family of the Shimeites apart, and their wives apart; 14 all the families who remain, every family apart, and their wives apart. Observations: 12:1-8 The second oracle begins with Jerusalem surrounded by besieging enemies, getting rescued by God. He will save them, and empower them to destroy their enemies, and then give them glory. 12:9-14 When God rescues them, and pours out on them a spirit of grace and supplication, they will look upon Him whom they pierced and mourn. This will occur for the nation at the second coming of the Messiah. Application: Recipients of God's grace will mourn their rejection of Him, so to minimize the grief, be receptive to Him at all times. Prayer: God, thanks for Your saving grace, may I receive and use it readily to accomplish Your purposes. Amen. 7 "Awake, sword, against my shepherd, and against the man who is close to me," says Yahweh of Hosts. "Strike the shepherd, and the sheep will be scattered; and I will turn my hand against the little ones. 8 It shall happen that in all the land," says Yahweh, "two parts in it will be cut off and die; but the third will be left in it. 9 I will bring the third part into the fire, and will refine them as silver is refined, and will test them like gold is tested. They will call on my name, and I will hear them. I will say, ‘It is my people’; and they will say, ‘Yahweh is my God.’"
Observations: 13:1-6 In that day, a spring will be opened for the house of David to be cleansed. Most view this as the cleansing work of the blood of the sacrificed Messiah (Isa 53;(1John 1:7). Idols and false prophets will be totally removed or silenced. Prophets will no longer proudly proclaim lies, but deny they were ever a prophet. 13:7-9 The Messiah applied verse 7 to Himself in Matthew 26:31-32. 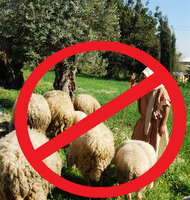 Only a third of the scattered of the sheep would be regathered and purified. Then they will call upon the name of the Lord, and He will hear them. They will live in covenantal relationship with Him and be blessed. Application: Cleansing and purification are necessary for living as God desires. Those who haven't gone through that process won't be able to live in righteous relationships. Prayer: Lord, thanks that I can experience the relationships You desire me to have as a result of Your cleansing and purifying work in my life, through Your sacrifice and word. Amen. 14:1 Behold, a day of Yahweh comes, when your spoil will be divided in your midst. 2 For I will gather all nations against Jerusalem to battle; and the city will be taken, the houses rifled, and the women ravished. Half of the city will go out into captivity, and the rest of the people will not be cut off from the city. 3 Then Yahweh will go out and fight against those nations, as when he fought in the day of battle. 4 His feet will stand in that day on the Mount of Olives, which is before Jerusalem on the east; and the Mount of Olives will be split in two, from east to west, making a very great valley. Half of the mountain will move toward the north, and half of it toward the south. 5 You shall flee by the valley of my mountains; for the valley of the mountains shall reach to Azel; yes, you shall flee, just like you fled from before the earthquake in the days of Uzziah king of Judah. Yahweh my God will come, and all the holy ones with you. 6 It will happen in that day, that there will not be light, cold, or frost. 7 It will be a unique day which is known to Yahweh; not day, and not night; but it will come to pass, that at evening time there will be light. 8 It will happen in that day, that living waters will go out from Jerusalem; half of them toward the eastern sea, and half of them toward the western sea; in summer and in winter will it be. 9 Yahweh will be King over all the earth. In that day Yahweh will be one, and his name one. 10 All the land will be made like the Arabah, from Geba to Rimmon south of Jerusalem; and she will be lifted up, and will dwell in her place, from Benjamin’s gate to the place of the first gate, to the corner gate, and from the tower of Hananel to the king’s winepresses. Observations: 14:1-10 The chapter opens with Jerusalem surrounded by the nations, and rescued by the Messiah, like in chapter 12, but with half the population lost. The Messiah will fight against the nations, splitting the Mount of Olives in two, creating a corridor of safety for His people by His physical presence. Then God and His holy ones will come to Jerusalem. It will be a totally unique day in history, known only to Yahweh, with neither light or darkness, aka, the Day of the Lord. In the evening, there will be light. This corresponds to circumstances described in Ezekiel's account of the Millennial temple from which will flow living waters (Ezek 40-44), and God's glory will give light (Isa 60:19; Rev 21:23). Yahweh will be king over the whole earth (which hasn't happened yet) and Israel will be blessed in the promised land. Application: God will return and rule over the earth with His holy ones, rescuing, restoring and blessing Israel in the promised land, as promised. Prayer: God, may I live according to Your promises, and be counted among Your holy ones, enjoying Your protection and blessings in the present, as well as the future. Thanks for Your enabling grace. Amen. God in a nutshell: God will only bless a righteous and receptive (humble) people. He wants justice and hesed, not ritual. He will punish evildoers and rescue the righteous. The Messiah will accomplish His purpose to regather and restore Israel in the land, and rule over the world from Jerusalem. He will destroy Israel's enemies, and purify His people. He provides cleansing and empowering for His holy ones to accomplish His will. Us in a nutshell: We need to demonstrate the kind of behavior toward God and others that He blesses, if we want to be blessed. We can't offer God ritual when He demands righteousness toward Himself and others. The righteous can call out to God for help, and He will rescue them. False shepherds do damage so it is important for people to individually know God, and not rely on someone else to do their spirituality for them. We can expect God to fulfill all His promises. We have a choice to experience the blessings rather than judgment by responding correctly to God as specified in His word. 7:1 It happened in the fourth year of king Darius that the word of Yahweh came to Zechariah in the fourth day of the ninth month, the month of Chislev. 2 The people of Bethel sent Sharezer and Regem Melech, and their men, to entreat Yahweh’s favour, 3 and to speak to the priests of the house of Yahweh of Hosts, and to the prophets, saying, "Should I weep in the fifth month, separating myself, as I have done these so many years?" 4 Then the word of Yahweh of Hosts came to me, saying, 5 "Speak to all the people of the land, and to the priests, saying, ‘When you fasted and mourned in the fifth and in the seventh month for these seventy years, did you at all fast to me, really to me? 6 When you eat, and when you drink, don’t you eat for yourselves, and drink for yourselves? 7 Aren’t these the words which Yahweh proclaimed by the former prophets, when Jerusalem was inhabited and in prosperity, and its cities around her, and the South and the lowland were inhabited?’"
8 The word of Yahweh came to Zechariah, saying, 9 "Thus has Yahweh of Hosts spoken, saying, ‘Execute true judgment, and show kindness and compassion every man to his brother. 10 Don’t oppress the widow, nor the fatherless, the foreigner, nor the poor; and let none of you devise evil against his brother in your heart.’ 11 But they refused to listen, and turned their backs, and stopped their ears, that they might not hear. 12 Yes, they made their hearts as hard as flint, lest they might hear the law, and the words which Yahweh of Hosts had sent by his Spirit by the former prophets. Therefore great wrath came from Yahweh of Hosts. 13 It has come to pass that, as he called, and they refused to listen, so they will call, and I will not listen," said Yahweh of Hosts; 14 "but I will scatter them with a whirlwind among all the nations which they have not known. Thus the land was desolate after them, so that no man passed through nor returned: for they made the pleasant land desolate." 8:1 The word of Yahweh of Hosts came to me. 2 Thus says Yahweh of Hosts: "I am jealous for Zion with great jealousy, and I am jealous for her with great wrath." 3 Thus says Yahweh: "I have returned to Zion, and will dwell in the midst of Jerusalem. Jerusalem shall be called ‘The City of Truth’; and the mountain of Yahweh of Hosts, ‘The Holy Mountain.’" 4 Thus says Yahweh of Hosts: "Old men and old women will again dwell in the streets of Jerusalem, every man with his staff in his hand for very age. 5 The streets of the city will be full of boys and girls playing in its streets." 6 Thus says Yahweh of Hosts: "If it is marvellous in the eyes of the remnant of this people in those days, should it also be marvellous in my eyes?" says Yahweh of Hosts. 7 Thus says Yahweh of Hosts: "Behold, I will save my people from the east country, and from the west country; 8 and I will bring them, and they will dwell in the midst of Jerusalem; and they will be my people, and I will be their God, in truth and in righteousness." 9 Thus says Yahweh of Hosts: "Let your hands be strong, you who hear in these days these words from the mouth of the prophets who were in the day that the foundation of the house of Yahweh of Hosts was laid, even the temple, that it might be built. 10 For before those days there was no wages for man, nor any wages for an animal; neither was there any peace to him who went out or came in, because of the adversary. For I set all men everyone against his neighbour. 11 But now I will not be to the remnant of this people as in the former days," says Yahweh of Hosts. 12 "For the seed of peace and the vine will yield its fruit, and the ground will give its increase, and the heavens will give their dew; and I will cause the remnant of this people to inherit all these things. 13 It shall come to pass that, as you were a curse among the nations, house of Judah and house of Israel, so will I save you, and you shall be a blessing. Don’t be afraid. Let your hands be strong." 14 For thus says Yahweh of Hosts: "As I thought to do evil to you, when your fathers provoked me to wrath," says Yahweh of Hosts, "and I didn’t repent; 15 so again have I thought in these days to do good to Jerusalem and to the house of Judah. Don’t be afraid. 16 These are the things that you shall do: speak every man the truth with his neighbour. Execute the judgment of truth and peace in your gates, 17 and let none of you devise evil in your hearts against his neighbour, and love no false oath: for all these are things that I hate," says Yahweh. 18 The word of Yahweh of Hosts came to me. 19 Thus says Yahweh of Hosts: "The fasts of the fourth fifth, seventh, and tenth months shall be for the house of Judah joy and gladness, and cheerful feasts. Therefore love truth and peace." 20 Thus says Yahweh of Hosts: "Many peoples, and the inhabitants of many cities will yet come; 21 and the inhabitants of one shall go to another, saying, ‘Let us go speedily to entreat the favour of Yahweh, and to seek Yahweh of Hosts. I will go also.’ 22 Yes, many peoples and strong nations will come to seek Yahweh of Hosts in Jerusalem, and to entreat the favour of Yahweh." 23 Thus says Yahweh of Hosts: "In those days, ten men will take hold, out of all the languages of the nations, they will take hold of the skirt of him who is a Jew, saying, ‘We will go with you, for we have heard that God is with you.’"
5 They shall be as mighty men, treading down muddy streets in the battle; and they shall fight, because Yahweh is with them; and the riders on horses will be confounded. 6 "I will strengthen the house of Judah, and I will save the house of Joseph, and I will bring them back; for I have mercy on them; and they will be as though I had not cast them off: for I am Yahweh their God, and I will hear them. 7 Ephraim will be like a mighty man, and their heart will rejoice as through wine; yes, their children will see it, and rejoice. Their heart will be glad in Yahweh. 8 I will signal for them, and gather them; for I have redeemed them; and they will increase as they have increased. 9 I will sow them among the peoples; and they will remember me in far countries; and they will live with their children, and will return. 10 I will bring them again also out of the land of Egypt, and gather them out of Assyria; and I will bring them into the land of Gilead and Lebanon; and there won’t be room enough for them. 11 He will pass through the sea of affliction, and will strike the waves in the sea, and all the depths of the Nile will dry up; and the pride of Assyria will be brought down, and the sceptre of Egypt will depart. 12 I will strengthen them in Yahweh; and they will walk up and down in his name," says Yahweh. 4 Thus says Yahweh my God: "Feed the flock of slaughter. 5 Their buyers slaughter them, and go unpunished. Those who sell them say, ‘Blessed be Yahweh, for I am rich’; and their own shepherds don’t pity them. 6 For I will no more pity the inhabitants of the land," says Yahweh; "but, behold, I will deliver the men everyone into his neighbour’s hand, and into the hand of his king. They will strike the land, and out of their hand I will not deliver them." 7 So I fed the flock of slaughter, especially the oppressed of the flock. I took for myself two staffs. The one I called "Favour," and the other I called "Union," and I fed the flock. 8 I cut off the three shepherds in one month; for my soul was weary of them, and their soul also loathed me. 9 Then I said, "I will not feed you. That which dies, let it die; and that which is to be cut off, let it be cut off; and let those who are left eat each other’s flesh." 10 I took my staff Favour, and cut it apart, that I might break my covenant that I had made with all the peoples. 11 It was broken in that day; and thus the poor of the flock that listened to me knew that it was the word of Yahweh. 12 I said to them, "If you think it best, give me my wages; and if not, keep them." So they weighed for my wages thirty pieces of silver. 13 Yahweh said to me, "Throw it to the potter, the handsome price that I was valued at by them!" I took the thirty pieces of silver, and threw them to the potter, in the house of Yahweh. 14 Then I cut apart my other staff, even Union, that I might break the brotherhood between Judah and Israel. Good Friday: Why Did Jesus Have to Die? Easter: Why Was Christ Resurrected? Micah 5-7 What Does God Require of You?